We’re excited to share a new episode of the Plum Deluxe Tea Time Podcast. Today we have Laura Childs on the show. 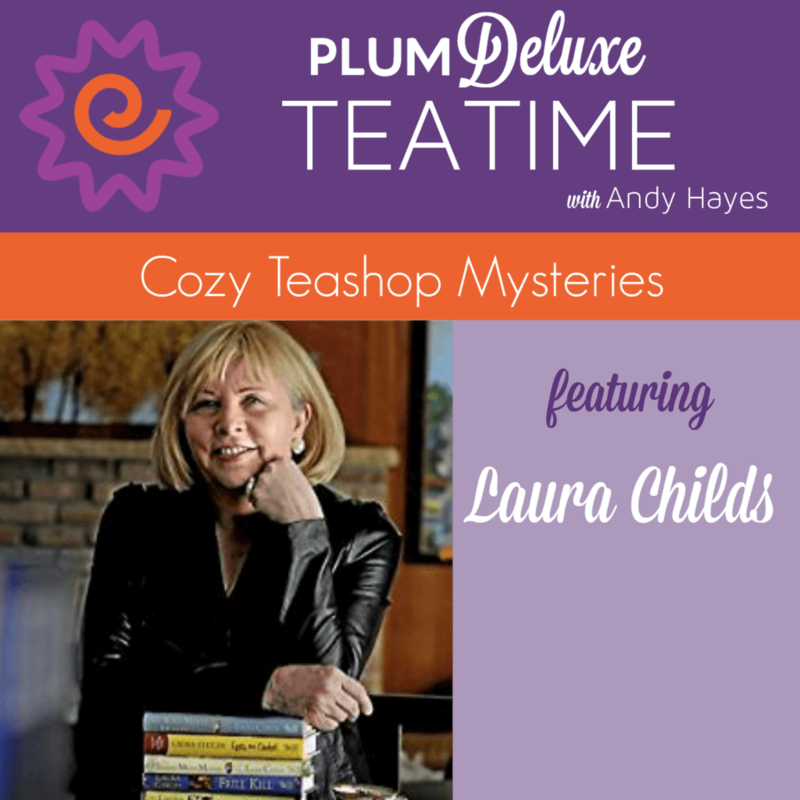 Laura is a New York Times Best Selling Author with her popular series of cozy tea shop mysteries. Laura has a new book out called Plum Tea Crazy and it seemed like no better place to celebrate the launch than with us here at Plum Deluxe! We started out with a Mystery Tea Party last week; today we’re inviting you to brew yourself a cuppa while we chat with Laura herself. How to use your failures to drive your subsequent success. How Laura gets so much writing done. Ways to spark your imagination for your creative projects.